Built for and developed with the greatest player of all time. Take unpredictability to the next level with the Nemeziz 17+ Pure Agility. The 360 Agility Bandage perfectly wraps to your foot to allow lock down stability. However unexpected your movements may be. The all new Agility knit 2.0 allows a responsive touch whilst manoeuvring your way through the goal. 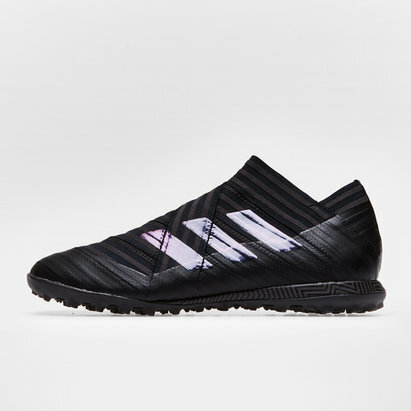 The Nemeziz 17 features a unique stud configuration for speed and agility.